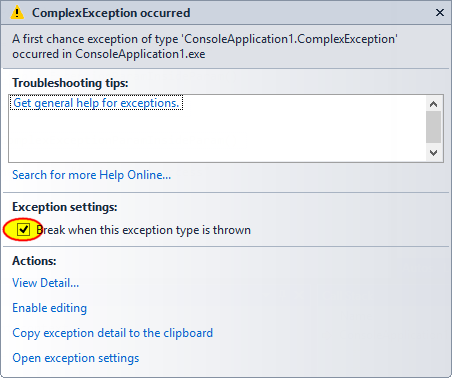 Inspecting all of the provided information doesn’t give you much more information about Exception itself besides the type of it and that there are some more specific information inside the Exception (two exception parameters). Even though we don’t have much information about ‘insides’ of the exception we can tell something from exception name itself, right ? That’s correct, you can figure out what kind of exception or with which group of exceptions you’re dealing with, but you still don’t have specifics. With help comes mentioned earlier $exception pseudovariable. Actually I lied in the title, I haven’t learned it today but there was a day when I’ve stumble upon this attribute in someone’s code and started using it ever since. 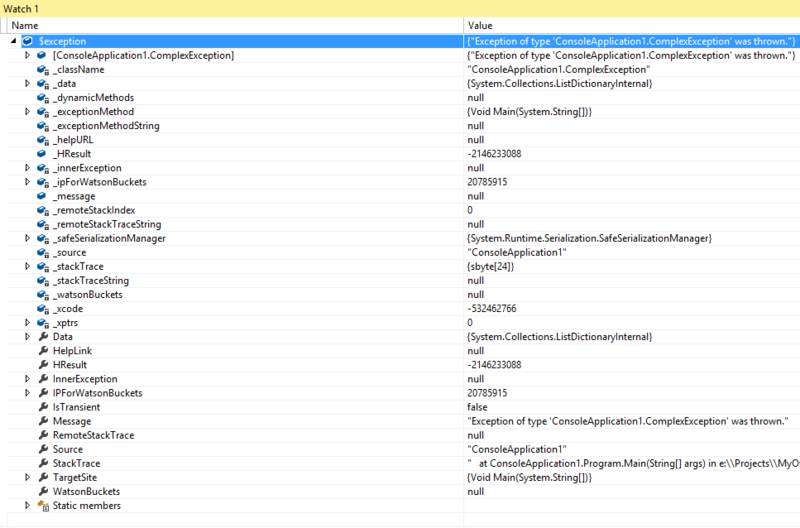 This is one of these things that makes your life much easier while debugging. What does this DebuggerDisplay attribute do exactly?